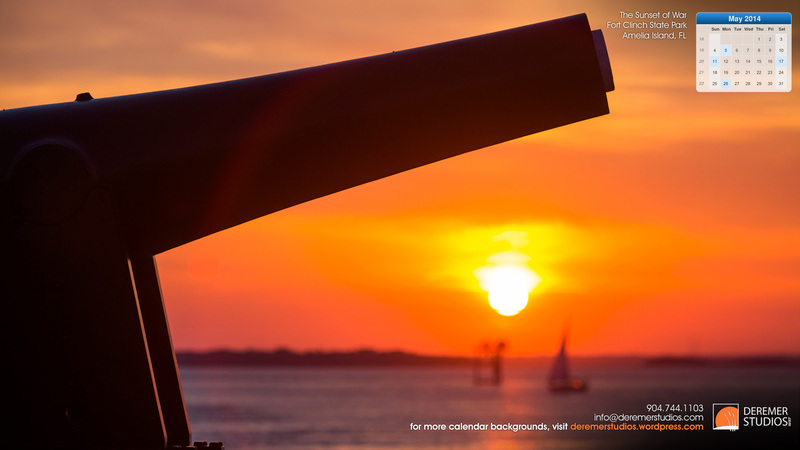 Calendar Time – August HD Desktop Wallpaper! Welcome to August! We’ve got seven new HD desktop wallpapers for you in this coast to coast edition. From the calm waters of Peggy’s Cove, Nova Scotia at dawn to the bustling night life of San Diego, CA from 300 feet, we’ve got you covered. For our aviation fans, we’ve got one of our favorite photos of the ginormous C5-A Galaxy taking off from Pease Trade Port and on the flip side, a serene scene along picturesque Rangeley Lake in Norther Maine. And lastly, our calendar post wouldn’t be complete without an image from the Amelia Island Concours D’Elegance – last month we showed you a very special Ford – this month we balanced things out with a beautiful 1963 Corvette Z06 “Tanker” that dominated tracks across the country from 1963 through 1965. If you’re looking for more automotive-themed desktop wallpaper, be sure to check out our Automotive section! 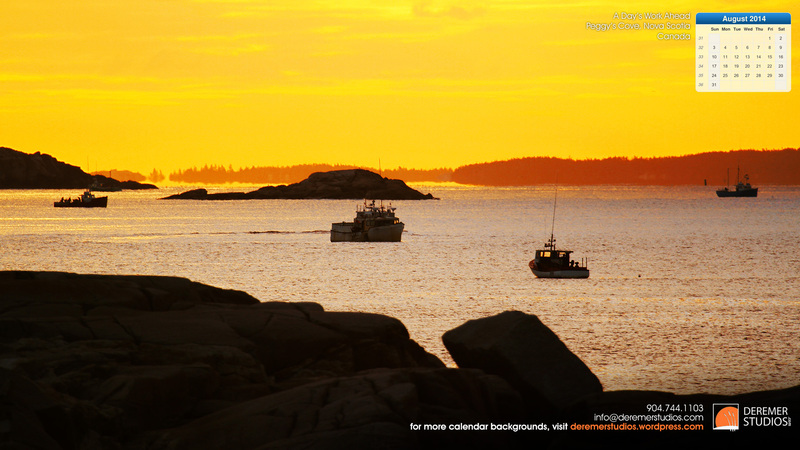 Calendar Time – July HD Desktop Wallpaper! And just like that we’re half way through 2014. Can you believe it? In Florida things are heating up and I’ve found myself longing for that winter weather again. But you can’t tell that from our July HD wallpaper. As with previous months, these images are formatted for HD 16×9 screens and make great wallpaper for your computer, tablet or TV. 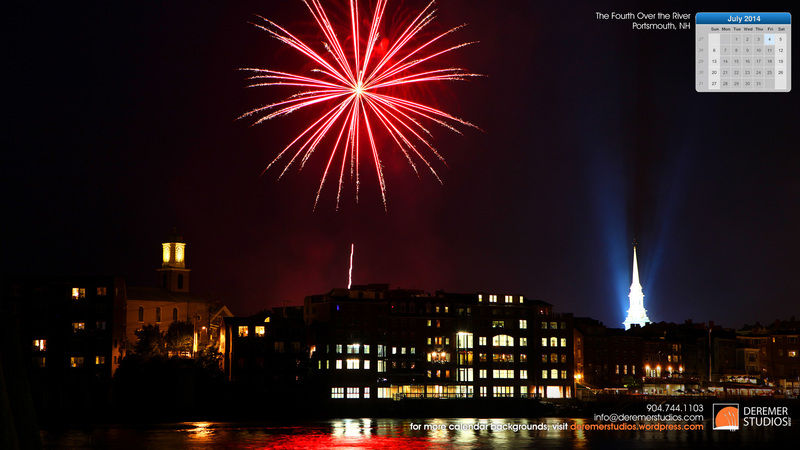 This month we’ve got some bright and sunny shots from all over the eastern seaboard, from Maine to Florida – and as it is July, I’ve included one of my favorite 4th of July shots from Portsmouth, NH. And lastly, our calendar post wouldn’t be complete without an image from the Amelia Island Concours D’Elegance – this month is a quite unique and surprisingly ‘un-Fordlike’ Ford – it’s Edsel Ford’s Restored 1934 Model 40 Special from the 2012 Concours. If you’re looking for more automotive-themed desktop wallpaper, be sure to check out our Automotive section! Calendar Time – May HD Desktop Wallpaper! So… It seems May got ahead of us – but better late than never, right? Here is our somewhat tardy collection of 1080P HD wallpaper for May. As with previous months, these images are formatted for HD 16×9 screens ans make great wallpaper for your computer, tablet or TV. This month is all about spring – from warm Florida waves to bright spring flowers – we’ve got you covered! Photos are from Florida, Virginia, Tennessee and New Hampshire this month. As tradition dictates, I also share one of our favorite images from a past Amelia Island Concours D’Elegance – so this time I’ve got an interesting assortment of cars all in one image. From a kit Cobra to a rather loudly painted Rolls Royce – you never know what you’ll see at the great Cars and Coffee event held on the Saturday of Concours weekend. If you want more automotive-themed desktop wallpaper, be sure to check out our Automotive section! Calendar Time – April HD Desktop Wallpaper! And just like that, April is just around the corner! 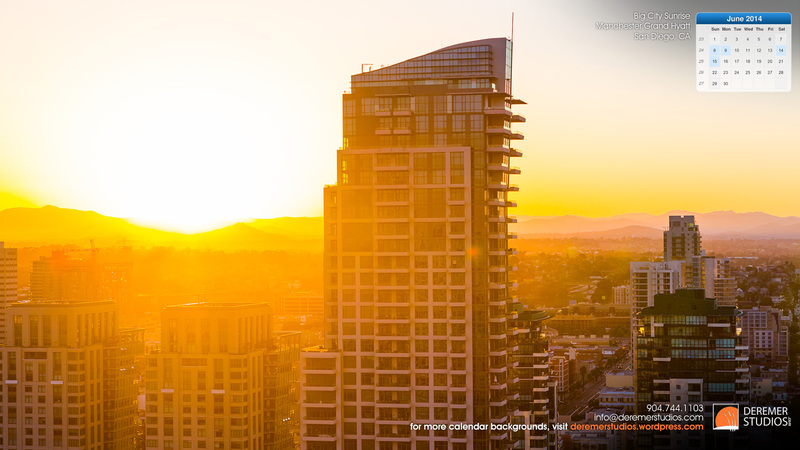 If you’ve been following the blog for any time, you’ll know that means another set of fine art desktop wallpaper, perfect for your HD screens – Computers, TVs, Tablets and the like! With the winter never seeming to end for so many of you, I thought you’d like some warm and spring-like images. This month, we have flowers in Maine, shrimp boats from Florida, An old farm house from Virginia, and a few more shots that might strike your fancy. Lastly, as is our tradition, I’ve given you another of my favorite cars – this time a bit more of an artsy shot from the 2014 Amelia Island Concours D’Elegance. This is a 1968 McLaren M6B Can Am racer driven over the years by Oscar Kovaleski, Cliff Apel, David Franklin among others. If you want more automotive-themed desktop wallpaper, be sure to check out our Automotive section! 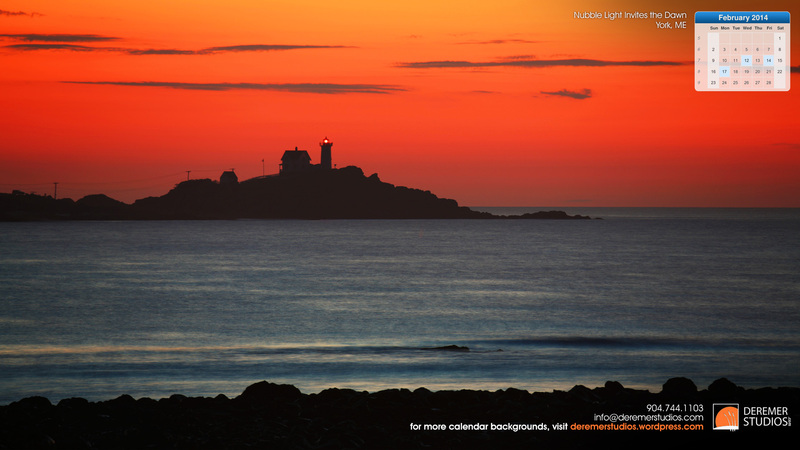 Calendar Time – March HD Desktop Wallpaper! Can you believe we’re nearly in March? Well, with the new month comes our next set of desktop wallpaper, perfect for your HD screens – Computers, TVs, Tablets and the like! This month we have photos from coastal Florida and Georgia, rural western Virginia, and maritime Maine. 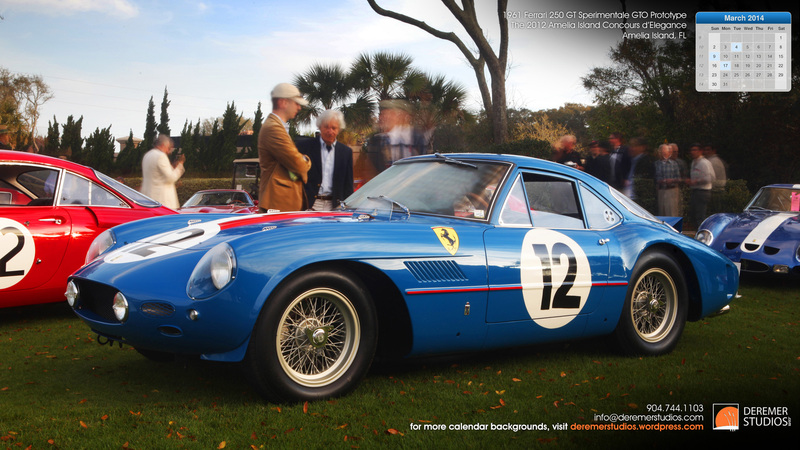 Lastly, as is our tradition, I’ve given you another of my favorite cars from the 2012 Amelia Island Concours D’Elegance. This 1961 Ferrari 250 GT Sperimentale GTO Prototype marked the beginning of the venerable 250 GTO that dominated so many races during the early 1960’s. If you want more automotive-themed desktop wallpaper, be sure to check out our Automotive section! 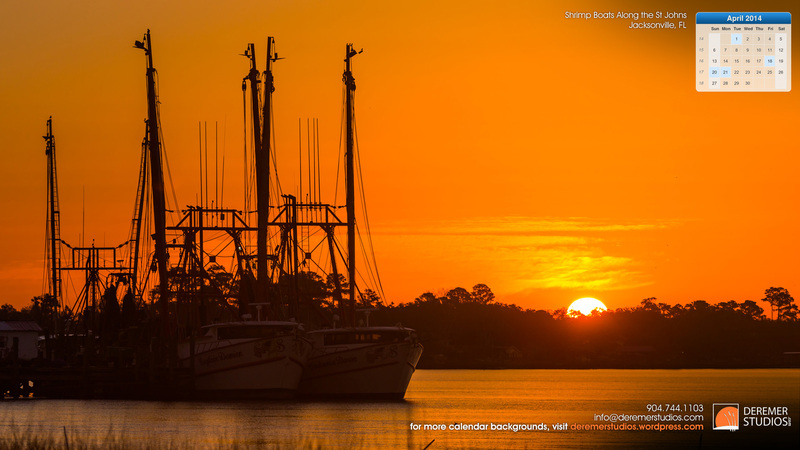 Calendar Time – February HD Desktop Wallpaper! You guessed it – another month has come, stopped by for what seemed like only a few days, and is already headed back out the door. And with the change in months comes our monthly HD desktop wallpaper. As always, our February wallpaper is in 1920 x 1080P HD format, perfect for your widescreen monitors, TVs or other devices. This month features a variety of vistas to help remind us of that despite the cold and inconvenience, winter is a time of beauty – and for those just plane sick and tired of the frigid temps, a few warmer reminders that winter is but one season and this too shall pass. Our most popular wallpaper from last month was of the snowy New Hampshire coast, so you’ll find another shot – this time of Portsmouth’s waterfront covered in snow and lit by the warm dawn sunshine. I’ve also included a photo from atop Pike’s Peak, the above photo of pre-dawn light at Nubble Light, and, just for kicks, a cute baby Rhino from a visit to our friends at White Oak Conservation Center. Lastly, as is our tradition, I’ve given you another of my favorite cars from the 2013 Amelia Island Concours D’Elegance. This 1930 Duesenberg Model J Dual Cowl Phaeton hails from the land of my youth (New Hampshire) and is an especially pretty example of its class. For more details on this unique car, check out RM’s listing here. If you want more automotive-themed desktop wallpaper, be sure to check out our Automotive section!